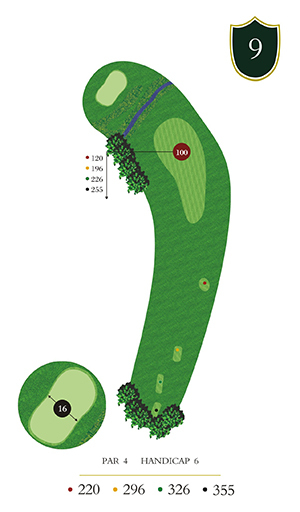 This Par 4 offers a downhill, blind tee shot. The hole doglegs to the left and a slight right to left tee ball is rewarded. 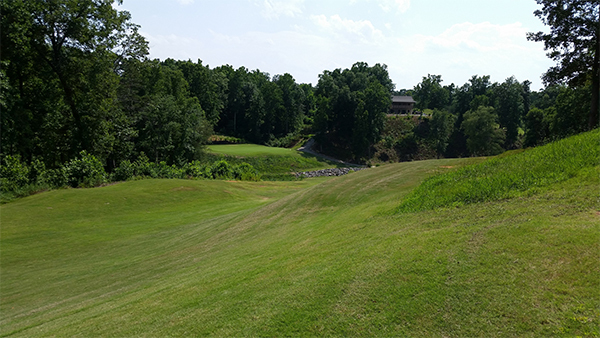 Your second shot is uphill and over a creek and hazard to an elevated green. Do not be short…or too long!